POEMS are a lot like music. When you read a poem, you can hear its rhythm (RIH-thum). In music, instruments or voices make the rhythm and keep the beat. But in poetry, rhythm is made by the words. POEMS are a lot like music. 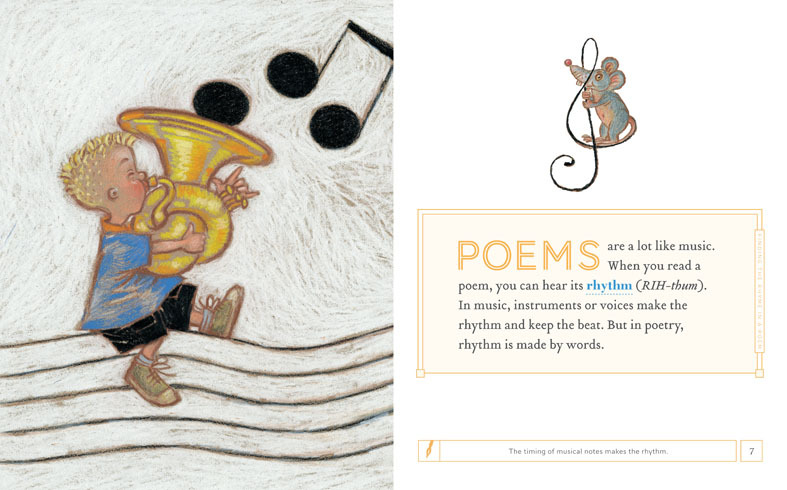 When you read a poem, you can hear its rhythm (RIH-thum). In music, instruments or voices make the rhythm and keep the beat. But in poetry, rhythm is made by the words. The simplest way to explain something new is to compare it to something that the readers already know. 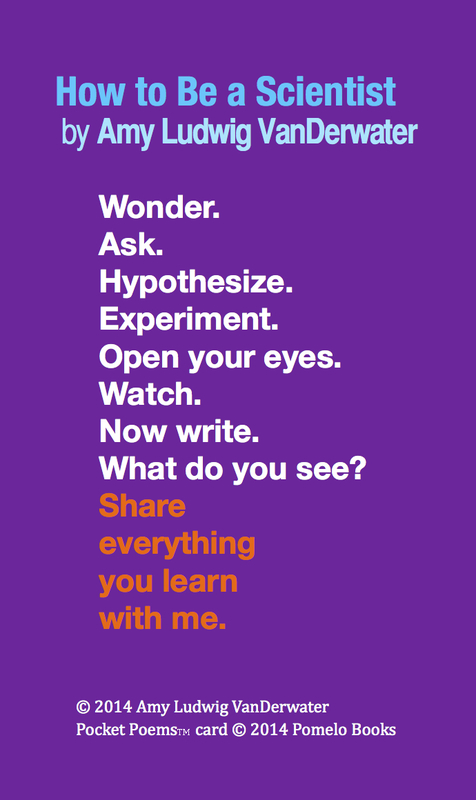 Like science, poetry asks students to slow down, observe and record. Many students are drawn to the way poetry distills these observations into brief lines. 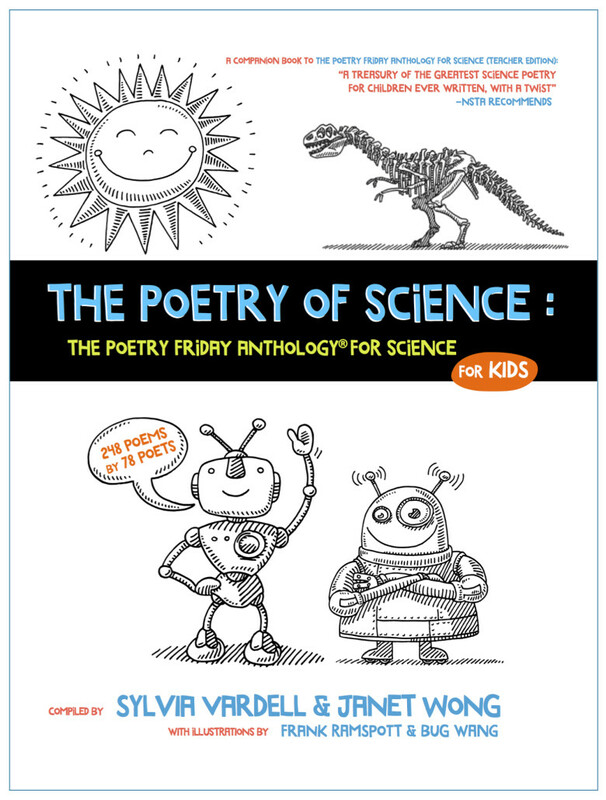 I am thrilled that the NPR show Science Friday celebrated the union of poetry and science, creating two educational activities and recommending one of my favorite anthologies. Whether you want to take a moment to observe the way a hawk glides or predict what happens when you soak celery in food dye, these poems offer a short, focused crystallization of scientific observation and inquiry. Here’s a great poem to start us off: “How to Be a Scientist” by Amy Ludwig VanDerwater. 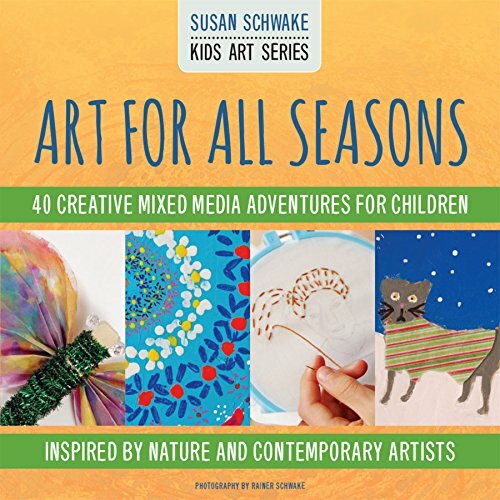 A well-thought-out handbook of nature-inspired art adventures that can be explored over and over with different results each time. Perfect for parents, teachers, grandparents or anyone working with children making art! The nature-based lessons are beautifully illustrated with more than 400 full-color photographs of the process and additional inspirational images of contemporary artists’ work. Included is information on how to set up a simple home studio, a comprehensive list of materials, how to display and save kid’s art work and ideas surrounding making art with others. Sitting at a window watching Spring rain fall in droplets in a fascinating way to pass the time. Each drop is formed in the air and when it hits the ground, the shape changes completely. The promise made in the book title, Art For All Seasons, is clearly conveyed in the text. From the whimsically painted watercolor endpapers and chapter title pages to the lusciously photographed finished recipes, The Forest Feast for Kids is a feast for the eyes as well as the stomach. These are recipes that are as beautiful to present as they are healthy to eat. Contents in this generously sized book contain cookbook standards – table of contents, index, introduction, and pages of helpful hints and cooking techniques. The chapters run the gamut of gastronomic needs: Snacks, Drinks, Salads, Meals, Sweets, and Parties. Each chapter contains about six recipes, each one displayed on across two pages. The left page has a painted recipe title, simple instructions in a large typewriter font, handwritten notes offering serving hints, “cut into wedges and enjoy hot!”, and hand-drawn arrows pointing to the appropriate ingredient photo (not every child may recognize a cilantro leaf or bay leaf). Photos are not insets or bordered, they are part of a lovely integrated palette of ingredients and text. Beautiful photos of the finished dishes appear on the facing page. Simplicity of ingredients (most recipes have only four) combined with attractive presentation make these recipes irresistible not only to young chefs, but also to harried caregivers who would love to put a healthy, attractive meal on the table, but have trouble finding the time. Enjoy! Copyright © 2016 L Taylor All Rights Reserved. Way to Glow: amazing creatures that light up in the dark by Lisa Regan. 48 p. Scholastic Inc., December, 2015. 978054506616. Do I really need two books on bioluminescence in my library? Yes! I recently reviewed Glow by W.H. Beck here. It is quietly stunning, classy and literary. Way to Glow is its exuberant little sister – loud and in your face and crammed with facts. Here’s the link to the full at Proseandkahn. All life in the ocean is connected. Tiny plankton are the most plentiful ocean food, and are eaten by bigger creatures. Animals are at the top of the food web aren’t hunted-they do the hunting. A new book series from Animal Planet features animals and their habitats. The first two books detail the lives of ocean and polar animals. There are several aspects of these books that will delight young readers, parents, and teachers. A beautiful two page photographic spread of an animal greets the reader first. This is what you would see in a high-end coffee table book. One unique part of these books is the use of colorful tabs as a guide. The tabs are easily located on the top right side of each spread. Categories include close-ups of animals, data, similarities and differences, and how people interact with animals and their habitats.Where They Live is one tab that begs particular attention because it highlights useful text features such as charts and maps. In Ocean Animals, this is a two page chart of the different levels of the ocean such as the sunlight zone and the twilight zone. Photographs of animals that live in these zones are present with factoids interspersed. Polar Animals has maps of both the Arctic and Antarctic Circles in conjunction with factoids and several photographs. Another favorite section of mine was The Stackup. Several varieties of a particular animal are stacked so readers can compare size and talents. Penguins (chinstrap, macaroni, adelie, gentoo, king, and emperor) are stacked inPolar Animals while whales (beluga, gray, sperm, fin, and blue0 are stacked in Ocean Animals. This would be a great place to practice using organizers like a chart or a Venn Diagram. With an abundance of luxurious photographs and tons of fun facts, you would think these books are going to be expensive. On the contrary, they are reasonably priced at $12.99. I would have expected a price tag much higher for coffee table-like books that clock in at 80 pages. I could see them being a big hit at a book fair. 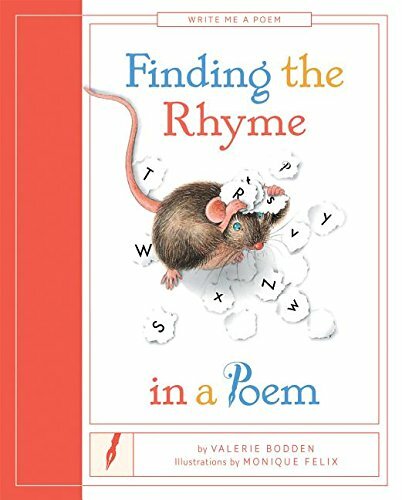 As a teacher of K-2 writing, I would use this as a mentor text for nonfiction writing. If you are going to tackle projects like All About booklets, this is a good place to talk about and model formatting. Your animal lovers (and that would be all of your students) will quickly dive into this exciting new animal series. Visit Jeff at NC Teacher Stuff so his pageview numbers go up and he can be happier on a shallow level. Pop on over to ProseandKahn to read reviews of two new Sports Illustrated Kids books. One for the newest fans to the game and one for more seasoned trivia hounds or fans interested in dipping into the history. Sports Illustrated Kids: My First Book of Baseball: mostly everything explained about the game by the Editors of Sports Illustrated Kids. A Rookie Book. 48 p. Time Inc. Books/ Liberty Street, April 5, 2016. 9781618931672. Baseball Then to WOW! by the Editors of Sports Illustrated Kids. 80 p. Time Inc. Books/ Liberty Street, April 5, 2016. 9781618931429.